From the very beginning when you bring your cat at home, they become a part of you and your family. Thus it is your duty to provide them with the best food for their health. 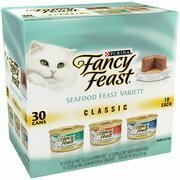 Fancy feast ensures that your cat is well cared for at every stage of his/her life. This brand of cat food was first introduced in 1982 by the Carnation Company. 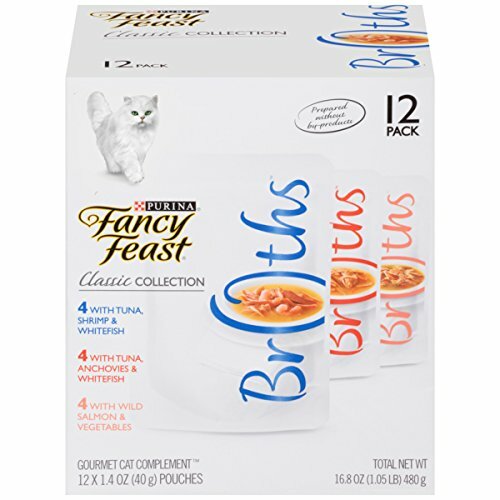 It is believed that the company solely introduced the gourmet cat food in seven wet entrees. In 1985, the company was sold to Nestle. Up to date, Nestle Purina still makes this brand of cat food. Purina has twenty (20) pet food manufacturing plants in U.S. 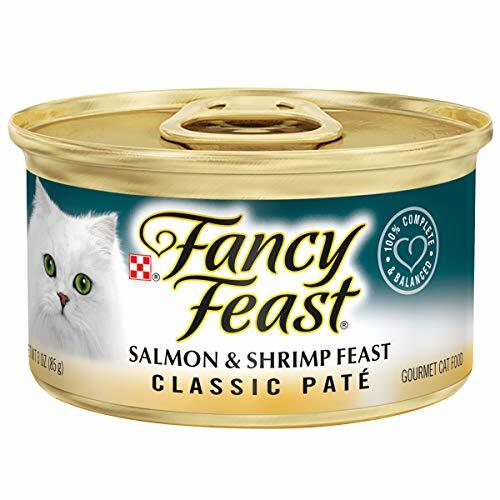 It is believed that Fancy Feast is made in one of the plants, as it is not clear which plant is it. This particular brand provides the best and a wide range of products. 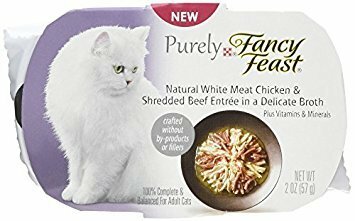 It has maintained its reputation over the years of making the best quality cat food. This brand of cat food leads in providing the best to U.S. and those who rely on us. This is why we are focused in providing the best products for you. Our products are made with love. We pay attention to detail in order to be able to produce high quality products. The products are made with high quality proteins and natural ingredients. Classic is formulated to meet nutritional values for all life stages. From kittens to adult cats who are nursing or pregnant. It has the following nutritional value: 10% protein, 5%fats, 1.5% fiber, 78% moisture content, 3.2% ash, 0.05%Taurine. 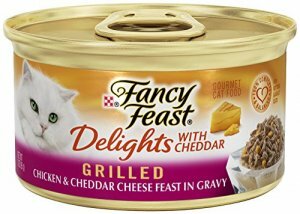 Fancy Feast makes 12 types of grilled canned food. They come in salmon, tuna, shrimp & salmon, whitefish & tuna, chicken & beef, liver & chicken, turkey, chicken, beef, beef & liver and turkey & giblets. In general, grilled food have a higher moisture content of up to 82% as they are “ in gravy”. This grilled recipe is formulated to meet the nutritional levels for all fife stages. From kittens to adult cats. It has an estimated 55% protein, 10% fat, 7.5% fiber, and 14% carbohydrates. Delights with chedar flavor has the following nutritional value: 10% protein, 2% fat, 1.5% fiber and 80% moisture. Because this recipe is in “in gravy” form, the moisture content tends to be high. Second category is mainly made from the following ingredients. Chicken, seafood, turkey morsels, beef. These ingredients are cooked on light fire and then basted to a crunchy finish. The nutritional value of any of the mentioned flavor is 2% of crude protein, 16% of fat, 4.5% of fiber, 10% of moisture. This is a complete broth, which consists of a balanced diet full of vitamins, proteins and minerals. This category consists of beef, chicken and seafood. No byproducts are added. It comes in various forms including white entrée in a delicious broth. It is complete and balanced with minerals and vitamins. Ingredients include sunflower seed oil, chicken and chicken broth. Sea bass and shrimp entrée in a delicious broth. It has natural ingredients including: sea bass, tuna, fish broth. Flaked tuna and white meat chicken. It is made of these natural ingredients with no fillers or by products. This recipe contains the following ingredients: wild rice, liver, white gluten, chicken and chicken soup. It also contains artificial flavors. 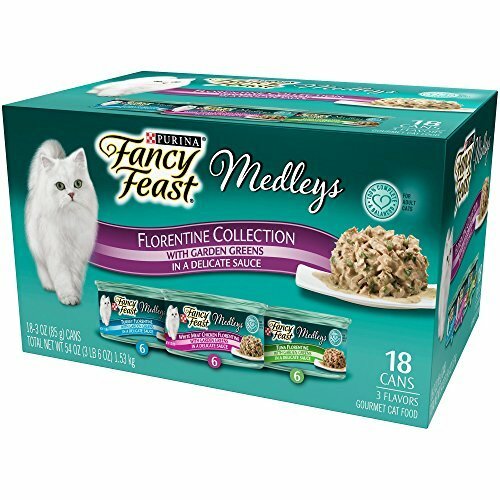 This recipe takes mealtime to a higher level for your cat with Medleys. Medleys bring together inspired combinations, which are well prepared. 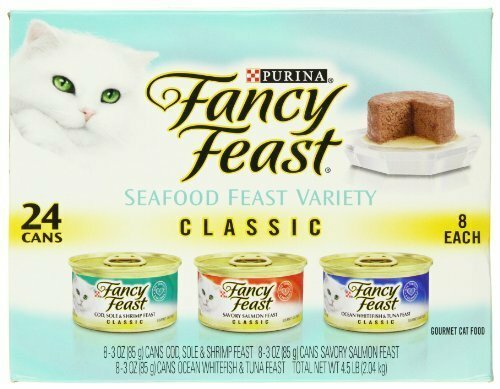 Your cat is surely going to enjoy has mealtimes. And as they say, a happy cat, a quiet house. The medleys are very popular with cat owners. This recipe has the following nutritional value: 10% crude protein, 2% fat, 1.5% fiber and 82% moisture. This is a newly added product. It is especially made to help you treat your cat to do something special. They come in various forms. They are individually wrapped with morsels of moist chicken, salmon or tuna. We also have duos that are baked treats with rotisserie chicken or seafood. 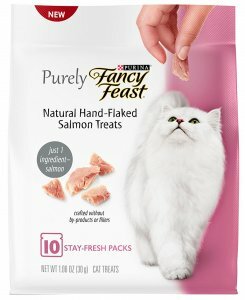 Your cat will enjoy lapping this delicacy until clean. All this products need is a touch of milk. You can choose from a velvety broth or a silky classic broth. These products are made with bites of seafood. 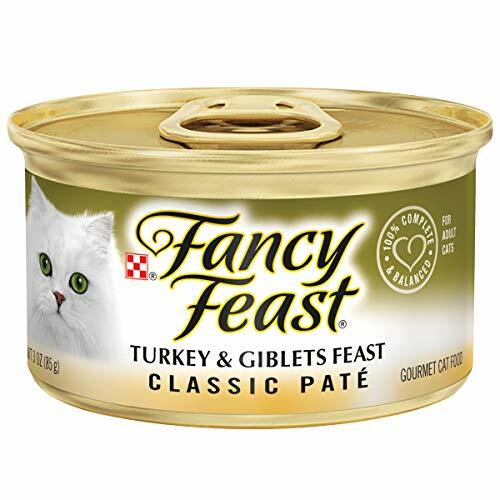 Just like purely fancy feast, this product has no fillers or byproducts. Chicken is also used to make the broth. It is also very good for cats. Chicken broth is a good source of vitamin B6, Niacin and selenium and Phosphorous. The chicken broth is a good source of Omega fats. The nutritional value is: 60-8-% proteins, 20-40% fats. This is not a whole meal and it is recommended that you serve as a compliment to your cats feeding routine. 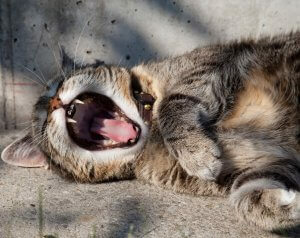 For an average size cat, it is recommended one can per 3.5 pounds daily. The kittens should have twice this amount, while pregnant and nursing cats regular and frequent feedings. 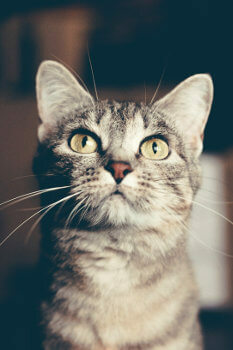 However, the cat owner should adjust the feedings to maintain a healthy body condition for their cats. Ask your veterinarian if in doubt. 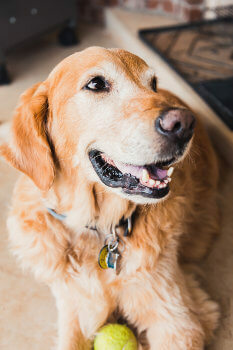 We believe you should buy the best pet food there is. 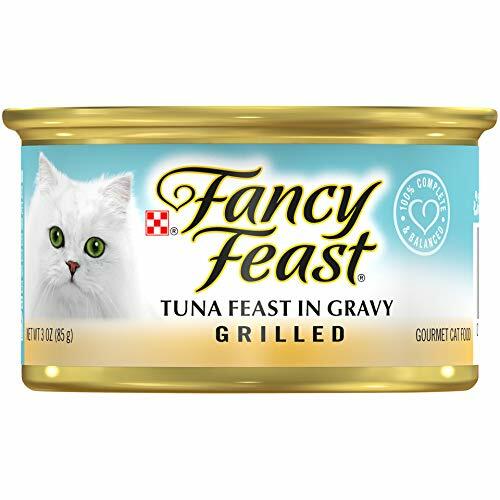 Fancy feast makes food that cats love and is also affordable. This brand contains ingredients that nourish the health of your cat. If you love your cat, this is the way to go.